View the entire table of contents for the Oct. 31, 2006 issue. France's southern and southwestern wine regions are rich in obscure but delicious wines. From Irouléguy and Jurançon in the west to Les Baux de Provence and Cassis in the east, it's easy to find distinctive wines full of character and exciting flavors. 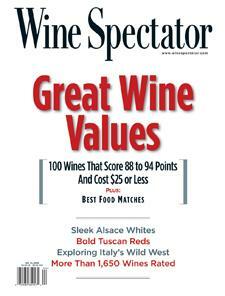 For the full article, check out the new issue of Wine Spectator, on newsstands October 31, 2006.